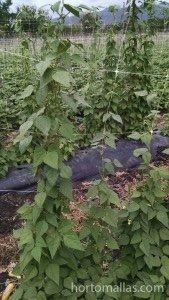 HORTOMALLAS is the ideal trellis for beans such as green beans, has the ideal peas netting, and netting for other legumes. The HORTOMALLAS trellis for beans is ideal for all kinds of climbing legumes, especially those that have evolved a tendril. 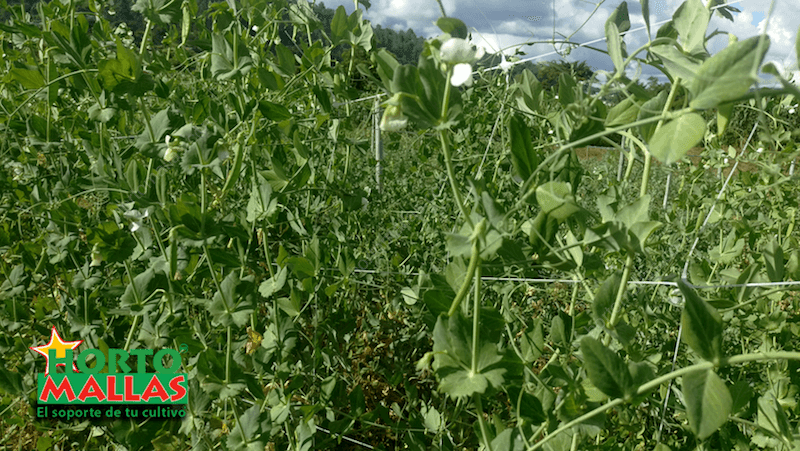 Trellis netting provides an excellent support for beans and peas, allowing the plants to grow fully upright and to spread out in order to receive the optimum amount of sunlight and air flow, thus reducing the incidence of diseases provoked by excessive moisture. HORTOMALLAS trellis netting makes a perfect snow peas trellis. The netting from the HORTOMALLAS trellis for beans and peas can be reused for several crop cycles and be used in a rotation of crops that makes use of the same infrastructure such as the plastic for ground cover, irrigation system, and trellis support posts. Crops are rotated in such a fashion so that the organic waste from one crop becomes nutrition for the next ones. This is especially the case when legumes such as beans and peas are alternated with solanaceae and cucurbitaceae, as long as plant health conditions of the produce area allow it. Trellis for beans and other climbing legumes, such as peas and green beans. 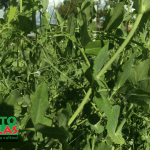 The HORTOMALLAS netting for peas and beans is the perfect complement for a crop rotation program since these leguminous plants fix nitrogen and the crops that follow utilize the nutrients that they left. Of course it is necessary to maintain a good plant health program since legumes tend to attract whiteflies which can be devastating by propagating virus in a crop of tomatoes. Thus, the recommendation is to, yes, optimize the infrastructure such as the plastic for ground cover, the irrigation system, and the trellis posts and netting, but only as long as there is a strict control of pathogens. The HORTOMALLAS beans and peas netting lasts for several crop cycles, but you will realize a complete return on your investment in just the first few pickings of peas or beans. 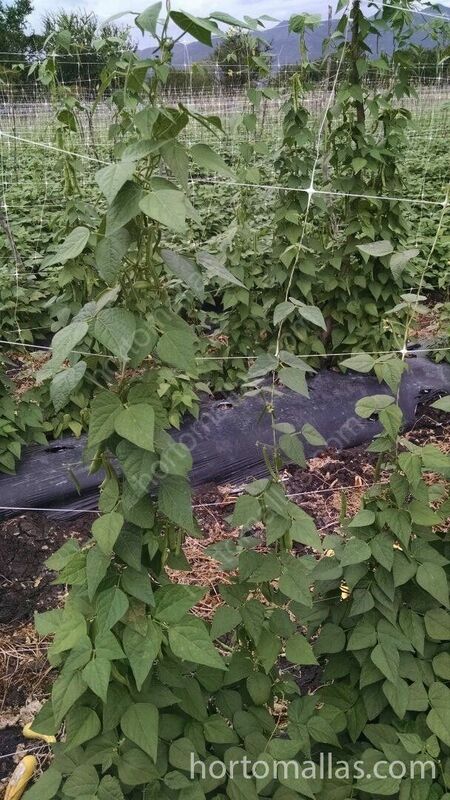 Do you want to see more images of Trellis netting for dry beans and green beans?